Meanwhile, add 3/4 cup cider vinegar, 1/2 cup water, 1 tablespoon liquid smoke and potatoes to a sauce pot over medium heat. Cover and steam for 20 minutes. 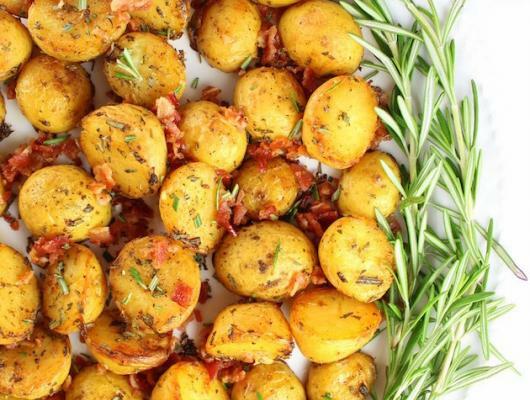 Remove the bacon from the oven and place on paper towels; dab to remove some of the grease, then chop and set aside. Turn the oven up to 425 to bake the potatoes. 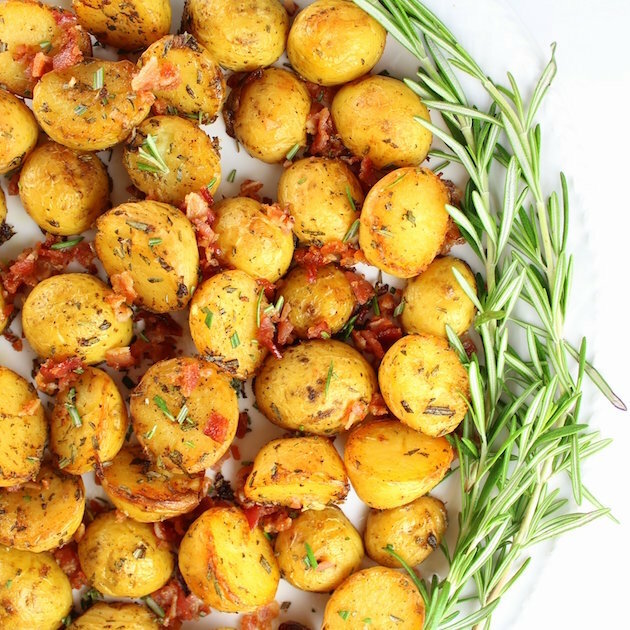 Smoky Salt and Vinegar Roasted Potatoes Recipe: baby Yukon gold potatoes, cider vinegar, smoked salt, fresh rosemary & bacon. Tangy, smoky & addicting!